As us East Coasters reach the end of our season, I am reminded all too well of a season very similar to this one. My senior year of high school we had a crazy warm and short winter and the premature post season vibes were hitting us pretty hard right around this time. After school one day, my best friend and I got pretty deep into the ski edit world when we happened upon a Snowflex edit. Neither of us had heard of this place before but it looked sick! Combine the urge to get back on skis after the rather sad season and the fact that this place was relatively accessible, we KNEW right then and there that we had to get out there. 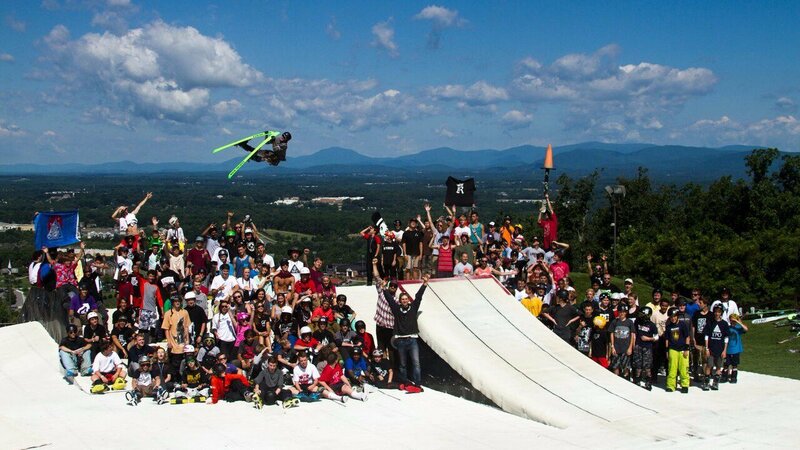 After some research, we found out that this Snowflex place had a camp: Next Level Snowflex Camp! That was quite possibly could be the best discovery the two of us have made in our friendship (seriously). After a couple quick conversations with our parents, we were signed up within the next day and our stoke level did a complete 180! 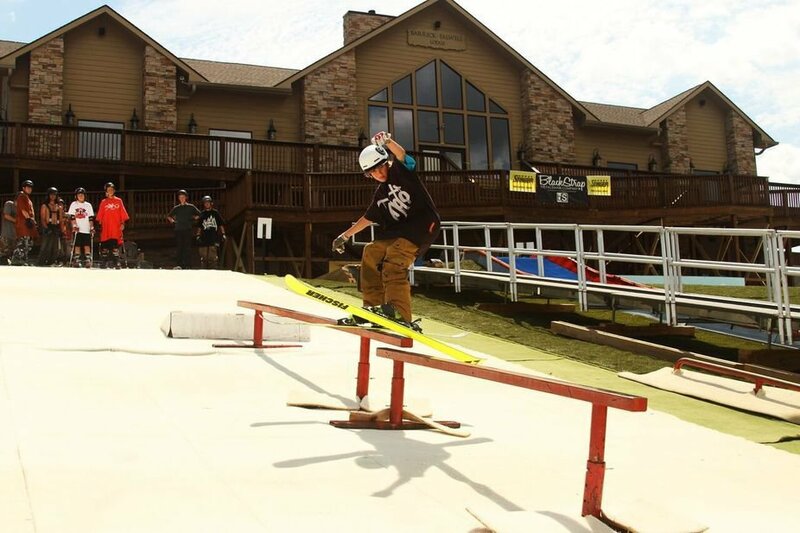 Project Flex - Filmed during camp in 2013, this edit is still one of the highest rated on Newschoolers. Definitely a must watch. That summer we headed out to Virginia to go skiing. I remember trying to tell friends and family about it, but no one could seem to understand why in God’s name we would want to go skiing in the summer. "There's snow in Virginia?" "How are you going to ski?!" "Isn't it too warm for that?" "Are there mountains there?" I guess there are some things we as skiers can’t exactly explain. One busy week later, we left Virginia with not only a much needed week of skiing under our belts, but new friends, awesome memories and an experience I wouldn’t trade. 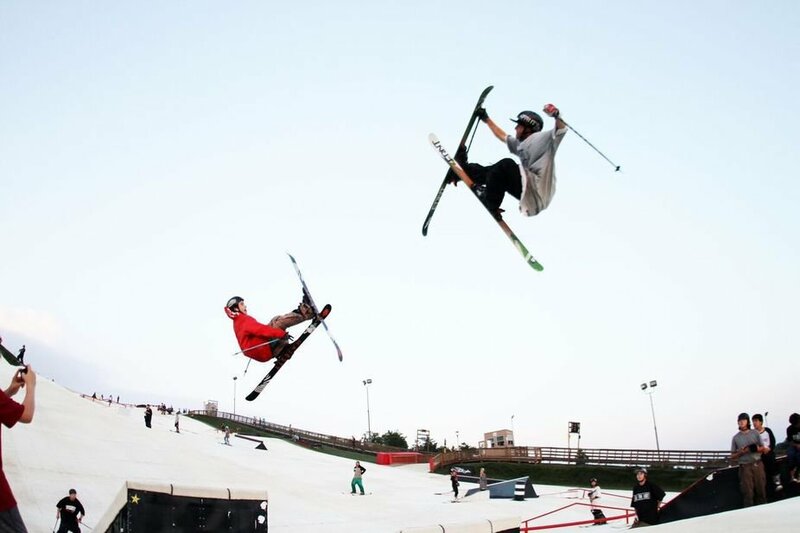 The facility is clearly built with all types of skiers in mind. 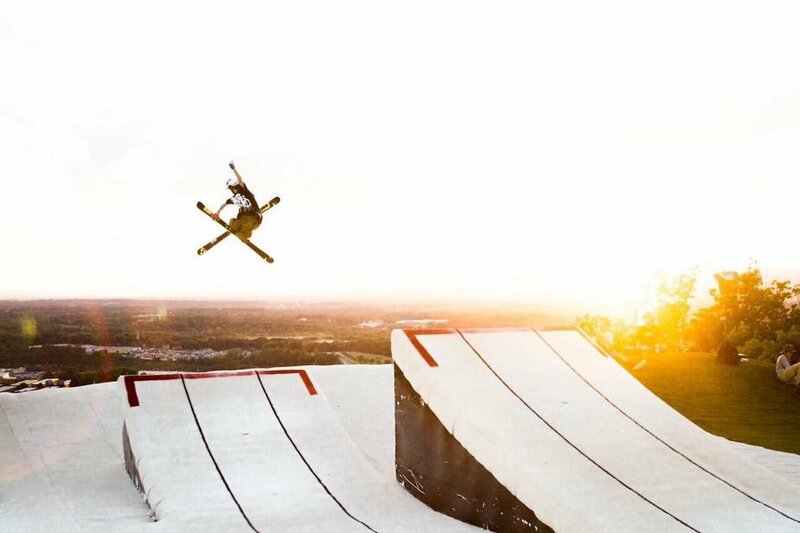 The jump section has three hits: the knuckle, small jump and big jump. And while the kicker’s themselves are set in stone, the landing is long and steep which allows you to send the jumps rather big. 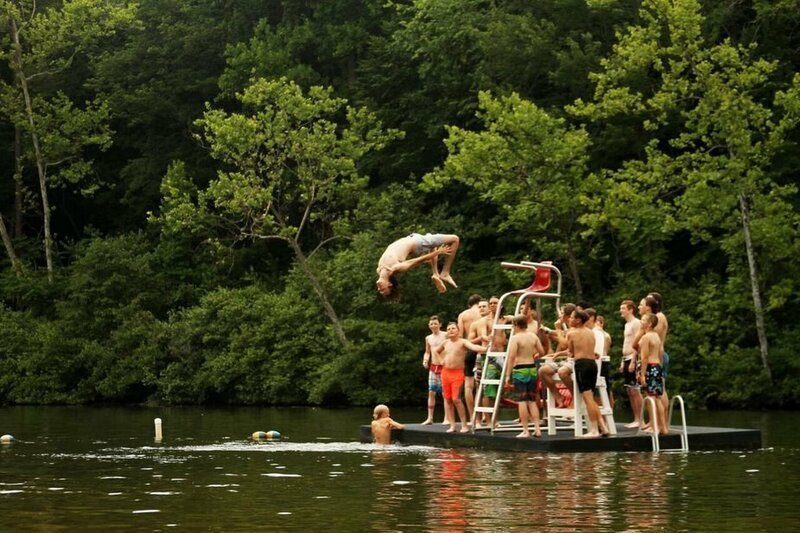 I’ve even seen some doubles thrown on the big jump by both coaches and campers. There are also a ton of rail and box features of varying sizes for virtually all levels of skiing from Jerry to Pro. If I had to chose one aspect of the camp that truly stood out to me, I would say the coaching went above and beyond my expectations. My coaches worked with us nearly one on one and they even would hike features with us until we got the trick we were learning. Doubling as coaches and hype men, the vibes are seriously one of a kind. Coach, Jake Muller admits that the coaches “sometimes get even more hyped than the kids when they learn something new.” As a former camper I can honestly say that this next level of stoke helped me more than any other kind of instruction could have. There is no doubt that there is something special about this place. Having attended nearly 5 years ago, I still stay in contact with a handful of people from camp. We’ve gone on trips together and have coincidentally ran into each other at other mountains. Which is crazy, you know? I found myself halfway across the country in Colorado and was taking laps with friends from camp, who I honestly never thought I’d ski with again. Going to this camp helped put into perspective how small and tight knit the ski community really is. Since the weather in Virginia can be (you guessed it) very hot, we ski in the mornings and nights when it is more comfortable outside. This means during the day, you get to do whatever activities you want, and there are a ton to choose from. 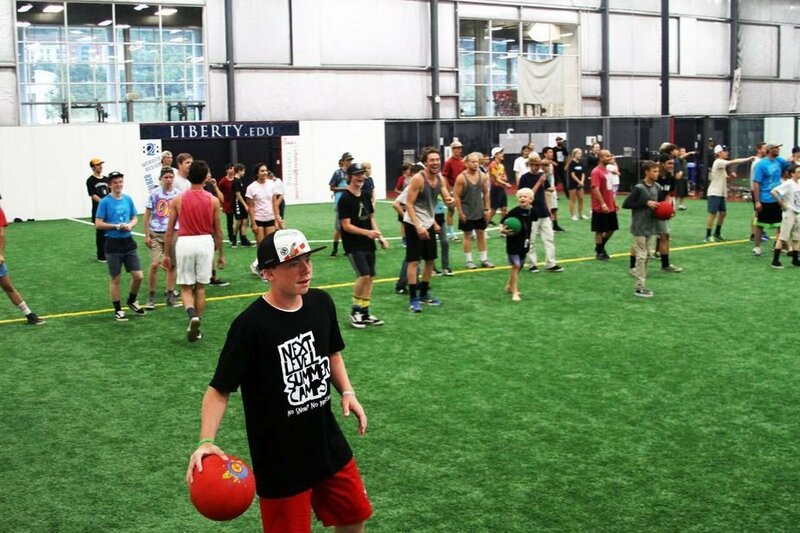 If you're going for an action sports packed week, you can go jump on the trampoline or go to Liberty University's very own skatepark! There are also other more traditional activities such as rock climbing, swimming, napping, and other daily activities! It works out perfectly because none of these activities gets in the way of ski time so you'll never have to chose between activities and skiing! We obviously have a great time on the hill, but sometimes its nice to chill out with friends doing other activities. It gives your body a break from skiing (and after skiing for 7 hours a day, you will want that) and it allows you to get to know one another off the hill too! Then after a week of skiing and hanging out with a bunch of new friends, you get to play a rowdy game of dodgeball. Because what's a better way to close out a week at camp than to whip dodgeballs at each other? Summer camp has always been something I looked forward to growing up and this camp was truly the best camp experience I’ve ever had. At the very least, every person there has a passion for skiing or snowboarding and that makes for an awesome environment to be in. Everything is done with the campers in mind and it’s truly an unforgettable time. If you’re on the fence about going to camp this summer I highly recommend giving this camp a shot, especially for those of you on the east coast! 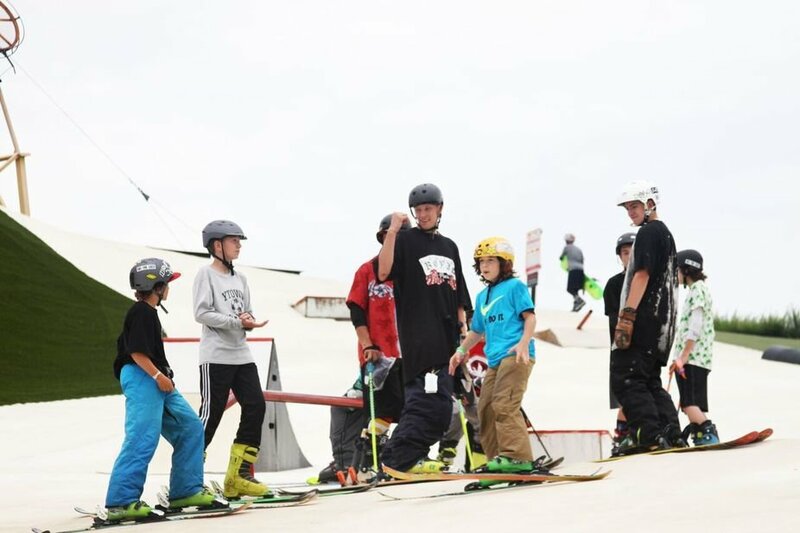 For more information about Next Level Summer Camps at Snowflex, head on over to the camp’s main page here!